Regional Cooperation Council - RCC Roma Integration 2020 Team Leader Orhan Usein presented the enlargement region views on the post-2020 Framework for Roma Integration at the High level conference on EU Framework for National Roma Integration Strategies, organized by the European Commission and Romanian EU Council Presidency / Președinția Consiliului UE in Bucharest today. 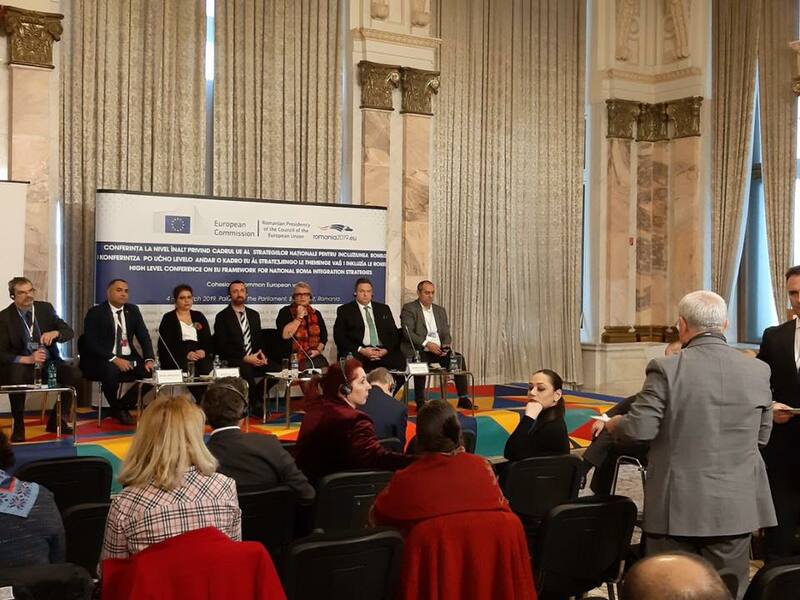 Mr Usein emphasized that the enlargement region is looking forward to an even closer cooperation with the EU Member States in the post-2020 period, sharing good practices and implementing commonly agreed standards that will provide for sustainable results in the Roma Integration process. In the upcoming period, specific attention will be paid to the areas of housing and employment, as most striking issues to be dealt with. In line with this, data collection and proper performance based public budgeting will be the region’s priorities. Most importantly, anti-Gypsyism as a root cause for the socio-economic exclusion of Roma, must be an integral part of the post-2020 EU Roma Framework. The RCC Roma Integration project stands ready to assist in the preparation of the post-2020 EU Roma Framework and its implementation in the enlargement region.